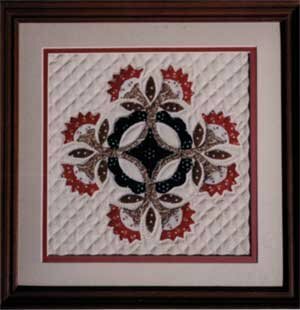 This is a beautiful appliqued block that is very elegant. An applique skill will be needed for this one, but truly worth the time and effort. The background is heavily quilted. This kit is a Intermediate level.